At the moment this is the most complete description of the BeatBearing project to date. Hopefully it helps explain the theory and also why I’m creating a sequencer that doesn’t even play 16th notes! I managed to take some good video footage of the BeatBearing in use at NordiCHI too, so hopefully I’ll get it edited and posted soon. Until then I’ll post some pictures of the new BeatBearing to whet your appetite. Writing a paper for the Enactive’07 conference. 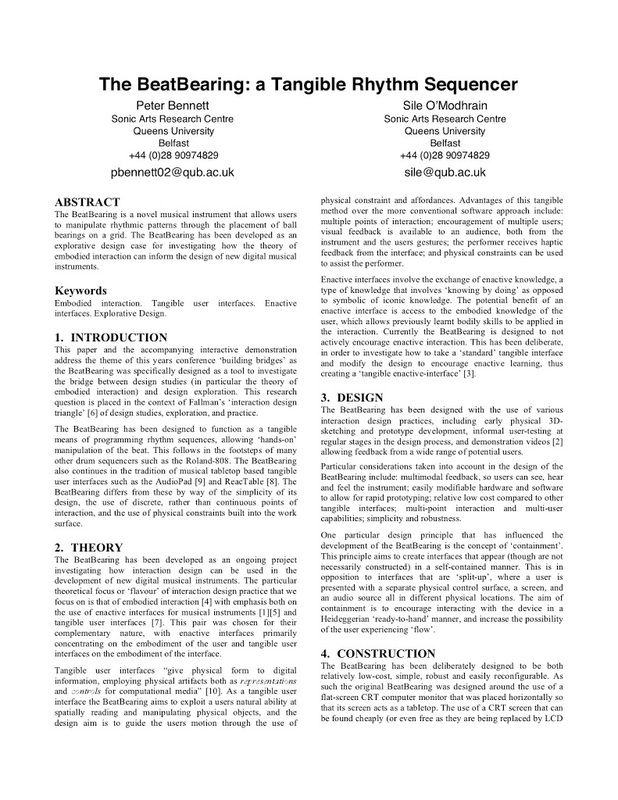 The subject is the comparison of Tangible User Interfaces and Enactive Interfaces. 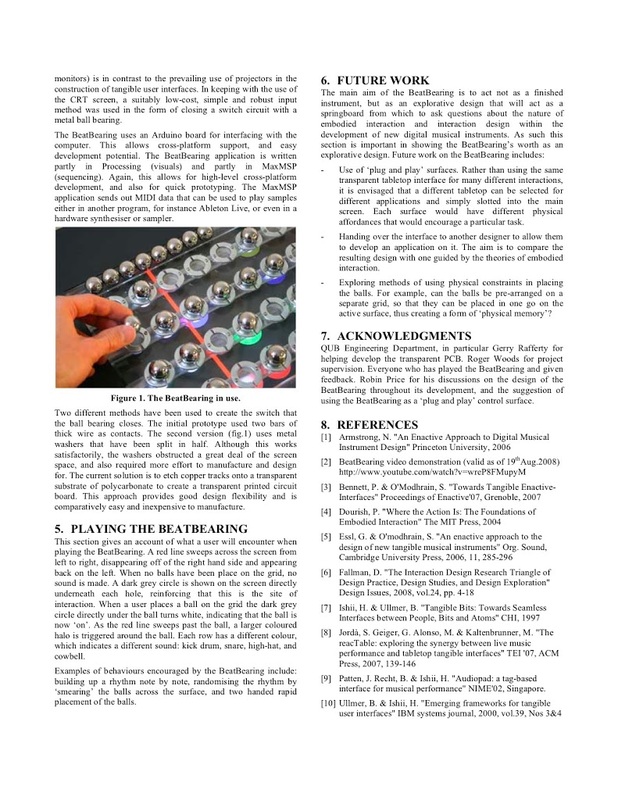 Have entered a short paper into the New Interfaces for Musical Expression conference. The title of the paper is “Effortful Interaction: Playing the Edge-trimmer”. This years conference will take place in New York, so hopefully the paper’s accepted!